Please be advised that we do not reveal information about identifiable inpiduals to our advertisers, but we may, on occasion, provide them with Aggregated Data about our Website visitors and customers. If you do not want us to share your data with third parties you will have the opportunity to withhold your consent to this when you provide your details to us on the form on which we collect your data, or you can do so by writing to us at the address detailed above or sending us an email to mark@norfolkmolecatcher.co.uk at any time. 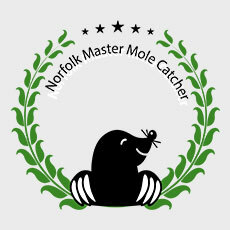 If you do not want us to use your data or want to vary the consent that you have provided you can write to us at the address detailed in clause 2 or email us at mark@norfolkmolecatcher.co.uk at any time. You can exercise these rights at any time by writing to us at the address detailed above, or by email to mark@norfolkmolecatcher.co.uk.